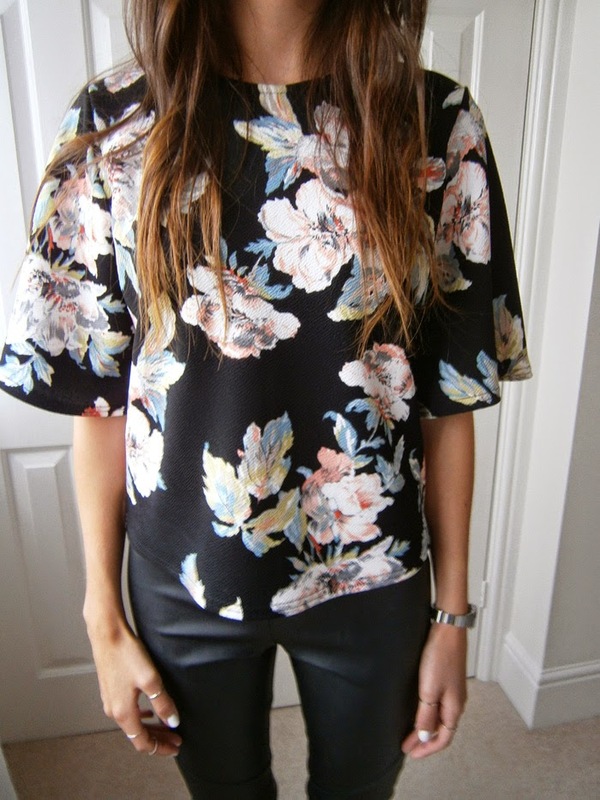 I am repeating the same clothes so much lately, but I am just loving this top (part of the co-ord in my previous post). I am a big lover of prints and this one seems so modern due to the large pattern and boxy shape and it is mega easy to wear due to the almost monochrome colour pallette. 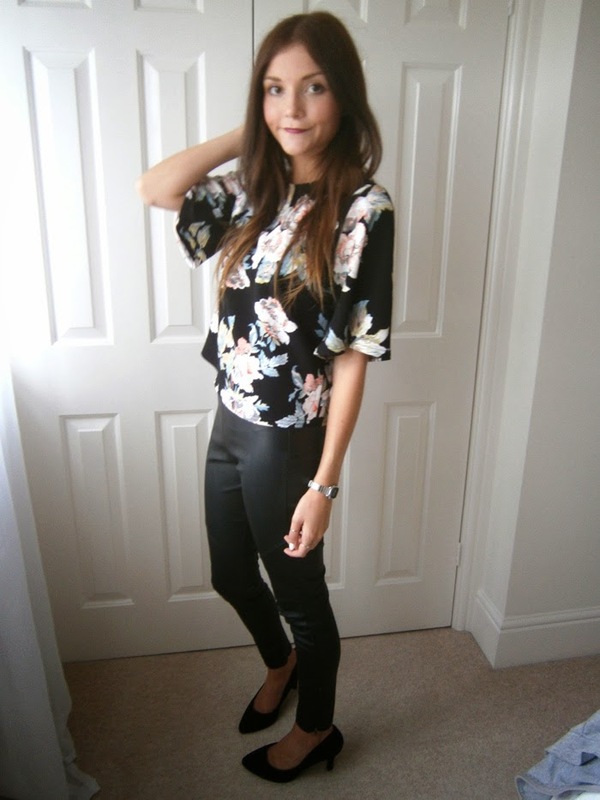 I bought these leather trousers from H&M years ago for probably around £20 and they have been so worth it. They are easy to style and I think they are a staple that will always be on trend. Plus these versions are quite good I think, they actually look kind of expensive and have a nice little zip detail at the ankles, claps for H&M. I realise the photos are terrible quality, my dad failed at his photography duties on this occasion. 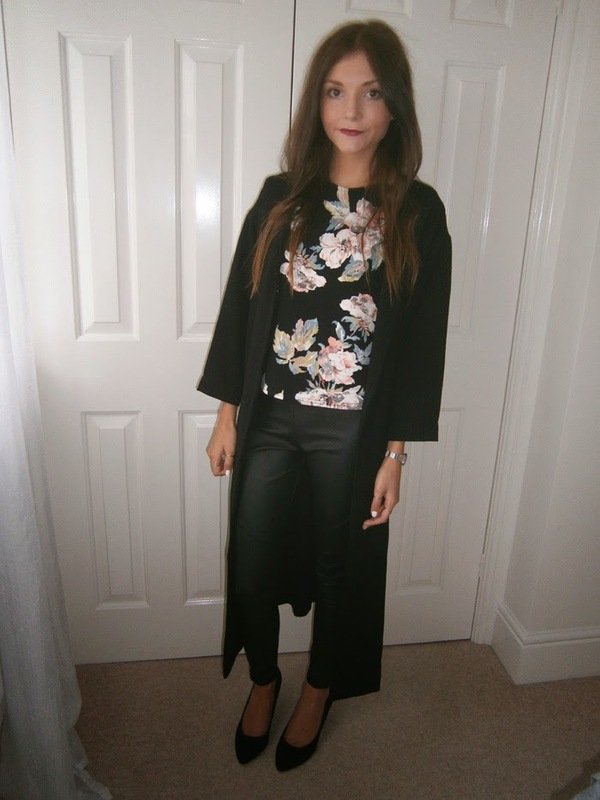 Click here to follow my blog via Bloglovin! Love love love your duster! I want one of my own so badly! Your outfit is perfect, you have amazing style! Want your wardobe haha!